Let our ultimate guide to La Jolla restaurants and cafes, sorted by genre and food category, be the guide to your next meal. Find impressive burgers, from traditional classics to modern burgers with unique ingredients, in La Jolla. Casual spot with an Irish feel great for a late-night dinner. Order one of their traditional Irish dishes or one of their many delicious burgers! Learn more about their food, including their famous Moo Cluck Oink! Burger, which comes with a fried egg, crispy bacon & cheddar cheese at our review – I-rish I could Eat Here Everyday – Hennessey’s La Jolla. Perfect for families on the go. Their walk-up line makes it easy to pick up a burger for a quick dinner, and they even have a Kids Menu (complete with a grilled cheese option)! This tucked-away little pub is a hidden gem in Whole Foods Market. It’s super casual and more of a ‘hang out and drink beer’ type place, which makes it perfect for a laidback dinner before a night out on the town. A must-visit for burger and beer lovers! With at least twenty beers on draft at all times, the Public House is a good spot to try out some local brews or something a little more exotic. There are great burger deals in La Jolla almost every day of the week. Find out the best ones, like when and where to Buy 1 Get 1 Free, at Best Burger Deals in La Jolla. As La Jolla is nestled along the Pacific Ocean, it has abundant seafood – making it the perfect city for sushi connoisseurs. Located at La Jolla Shores with an outdoor dining option, perfect for an al fresco lunch or dinner. What to go for: Happy Hour! Happens Monday-Friday from 4pm-8pm, and gets you 20% off everything on the menu. This award-winning sushi restaurant is located in the Hyatt Regency at Aventine. Makes for a great date night or special celebration. Tucked away right at the entrance to La Jolla (on Prospect), this little sushi place is great for a quick bite in between the beach and shopping; it’s casual and service is quick. Go for the views! Located on the second floor off of Prospect Street with a nice ocean view patio – great place to watch the sunset while enjoying great sushi and drinks. Stop by for happy hour 3-6:30pm everyday; enjoy $2 sake and $3-7 sushi rolls. The perfect spot to grab dinner before seeing a play! This unique Asian Fusion, steak, and sushi restaurant is located adjacent to the La Jolla Playhouse on the UCSD campus. Note: Closed on Mondays. Local favorites include: the Lemon roll, Don Juan roll, and the 808 roll. Find more local spots, with further insights, at our Top 4 Sushi Places You Need to Try. La Jolla’s unique approach to cooking and its proximity to south of the border have cultivated a setting for great tacos. This local fare will make you want to celebrate Taco Tuesday every week. Go for the unique spin on the classics! Their menu includes items like grilled octopus tostadas and mushroom tacos, and if you’re feeling adventureous try the avocado tostada topped with chapulines (grasshoppers). Super casual; go for a pitcher of margaritas and people watch on the patio. We recommend the pollo asado or carne asada tacos. If you’re looking for something light, try the grilled mahi-mahi tacos. Looking for a more Tijuana street-style taco? Head to The Taco Stand on Pearl Street. Enjoy al pastor tacos served on freshly made corn tortillas plus some tasty sides like Mexican-style corn on the cob and fresh guacamole. This is a local favorite so expect a long line, but worth the wait. If you’re craving fish tacos, this is the place to be. It’s laid-back and family-friendly, so it’s a good spot to take the kids; they also usually have a decent beer selection. Get more details on our favorite tacos in La Jolla at Top Taco Tuesdays in La Jolla. La Jolla has drawn people from around the world – including top chefs from Italy, who are now serving up authentic Italian cuisine at a variety of great restaurants. Pro-tip: sit on the patio (on the third story) for incredible ocean views while you dine! Get more insights in this review of happy hour at Catania La Jolla. Classic Italian in a cute, cozy space near La Jolla Shores. Great for a romantic date for two! Also located at La Jolla Shores, which makes for a nice walk down to the beach after dinner. Pro-tip: every Tuesday, get 50% off a bottle of wine with your main course! A beloved local favorite, this cute spot is known for its organic, fresh approach to food and its incredible outdoor patio. Expect to find everything from huevos rancheros to classic Bolognese pasta on their menu. Burritos. Tostadas. Enchiladas. Find your favorite classic styles or try La Jolla chefs’ new and noteworthy twists on Mexican cuisine. There’s a reason Puesto tacos made Erin Jackson’s top restaurant week picks in San Diego. Undeniably authentic Mexican in a casual spot walking distance to the beach. A local favorite is the adobado tacos, which they roast on a spit right at the restaurant. Ultra-fresh Mexican with a twist – they are known for their veggie-packed bowls and salads. A local favorite that has been around for years; classic decor and traditional dishes make this a great spot for a weeknight family dinner. La Jolla, San Diego’s Jewel of the Sea, is perched along the Pacific. Its proximity to the ocean can be seen in all of its restaurants that offer delectable seafood entrees and appetizers. Upscale fresh fare located inside the La Jolla Hotel. You can’t beat the views here. George’s sits directly above the ocean, so outdoor seating is prime. Go for dinner and enjoy the sunset with a cocktail. Upscale choice for seafood lovers. Loved by locals, this upscale eatery sits right on the water and offers unique takes on traditional seafood dishes. Say bonjour to fine French food in La Jolla. Visit one of the acclaimed cafés or bistros, with chefs straight from France, for the finest of fare. Most importantly, bon appétit! For those who want a bit of French food but still want the option for something more traditional, this is the spot. Located inside La Valencia, this cozy restaurant offers everything from steak tartare to sandwiches and soup. A restaurant, bakery, and wine boutique all in one! This Pacific Beach gem is renowned for its ultra-fresh ingredients and rotating menu. Perched on the third floor of the new La Plaza La Jolla, this spot offers Modern French bistro dishes paired with more traditional cuisine. Sit outside for a great view. Savor fantastic food and sip hand-crafted drinks while soaking in breathtaking ocean views. You can do just that at any of these restaurants. Go here for a modern flair on California cuisine; expect craft burgers, seafood with a citrusy twist, and hot sandwiches. This world-class restaurant sits directly on the water; you’ll see waves crash up against the floor-to-ceiling windows while you eat. Definitely an experience you’ll never forget! Locally sourced, seasonal ingredients set to ocean views within Hotel La Jolla. Look for the fresh grilled fish, house made pastas, local meats and flatbreads. Dine in a historic La Jolla cottage! Come here for the epic brunch. True to its name, locals and tourists alike flock here for the seafood. Try their oyster bar! If you’re itching to have a late breakfast, this is the spot! They serve until 3pm. Get your fix of fruit and veggies via a juice, smoothie or bowl (like the ever popular acai bowl) at a La Jolla juice bar or green-centric cafe. In addition to regular smoothies and juices, they also offer yummy acai bowls and wellness shots. Proudly named as the first ever juice bar in Southern California, this place does it right with super fresh sandwiches, vegetable juices, and fruit smoothies. Salads and wraps to die for, plus some delicious protein shakes that will keep you going the rest of the day. Popular for their three and seven-day juice cleanses. You can get everything from Boba tea to sandwiches to Greek yogurt here – in addition to their yummy smoothies and juice options. Great for a quick, healthy lunch. Perhaps you’re interesting in smoothies and juices for detoxing. To assist, here’s our full Guide to Detoxing in La Jolla. In La Jolla, you can treat yourself to a meal out and still eat healthy. Great restaurants offer options that taste exquisite and are nutritious, being light on calories and high in benefits. Enjoy the elegant atmosphere of La Jolla at one of the top fine dining restaurant, offering memorable meals in a truly elegant setting. The ultimate steakhouse destination for food and wine lovers! With unbeatable ocean views, fine cuisine, and exquisite cocktails, this is where you’ll be wanting to wine and dine in the Village! You can’t go wrong with any seafood dish on the menu. If you’re craving a hearty steak, this is a great place to go in La Jolla. And it’s right on the water (Prospect St.), so the views are excellent, as well. For a Hawaiian-themed evening, head to Duke’s! Their famous Mai Tais are a must-have with dinner. Chefs in La Jolla love to create classic American cuisine, such as burgers, lasagne and portobello mushroom entrées. You’ll find unique interpretations that utilize new and notable ingredient pairings with traditional dishes. Upscale comfort food in a cozy, cottage-like atmosphere, complete with a great outdoor patio. Everything from chilaquiles to stuffed French Toast is available on this eclectic menu! Sister restaurant to Prepkitchen, Whisknladle boasts a slightly earthier, simple menu than its counterpart. Lots of fresh seafood and vegetable dishes. Terrific ocean view and yummy sandwiches; great for a late lunch in the Village. Super healthy eats with a modern twist. Known for their award-winning Lamb Lollipops! Caffeinate your day with a standard coffee, elaborate coffee beverage – such as a latté or peppermint mocha – or tea. A cute coffeehouse nestled on a quiet street in the Village. If you try anything here, get one of their scones – they are some of the best in San Diego! Come here for a latte and head next door to DG Wills for an awesome bookstore experience. The only full-on bakery in La Jolla, this spot is known for its Irish spin on the classics. Items like Shepherd’s Pie, a Full Irish Breakfast, and Pasties are hot commodities. This is a great spot to come and just hang out for a while. There is downstairs and upstairs seating, and plenty of tables; it’s also quiet enough to get some work done. Croissants. Scones. Danishes. Treat yourself to high quality baked goods that will pair perfectly with a coffee, tea or hot chocolate. It is said that breakfast is the most important meal of the day. Luckily, there are a variety of great options for making sure your most important meal is served just right. This coffeeshop boasts delicious coffee and yummy bagel sandwich breakfasts. From biscuits and gravy to fresh Benedicts, this place has everything you could want to start your day off the right way. Try any of their baked pancake specialties – rich, filling, and seriously decadent. They serve breakfast all day! Come here for a quick breakfast on-the-go. This diner has been around since 1960, and has been a local favorite ever since. 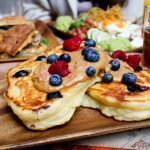 Their menu is classic, simple, and fresh – you can get everything from traditional pancakes to a hearty American breakfast. As a family with kids, you’re looking for a restaurant that offers kid-friendly entrées and atmosphere. You also seek a place where the setting and food is fun and flavorful for the adults. Find a selection of such restaurants right here in La Jolla. Each item on their Kids’ Menu comes with a drink and a fruit cup, rice, or beans. Perfect for the little ones with a thing for Mexican food! Their Kids Menu is more for older children (under 11), but each dish is super affordable. The casual diner atmosphere is perfect for a family outing! 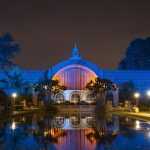 Foster a romantic atmosphere at one of these La Jolla restaurants; with carefully selected lighting, excellent service and optimum wine and champagne options, they cultivated the perfect setting for a special evening. Beautiful ocean views and cozy tables; what more could you ask for?! This spot is the ultimate ‘date night.’ Fine wine, upscale Italian, and a super cozy atmosphere at La Jolla Shores. Come for Happy Hour and stay for the views! Located on the top floor of La Plaza La Jolla, the sunset is pretty stunning from here. Located directly on the water; impress your date with a view of the crashing waves and a first-class dinner menu. If you love brunch a waffle lot, look no further. 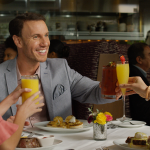 From mimosas to coffee, from savory entrées to sweet ones, there is a brunch to suit everyone’s taste at these La Jolla restaurants. Brunch with a beautiful view; this spot is located at the Aquarium and has an incredible patio! Their Benedicts are to die for. Bonus: they have a full-on Doggie Menu for your four-legged friend! You can’t come here and not get the Coast Toast; a beloved local favorite, their version of French Toast is essentially a decadent souffle. Brunch with an Italian spin! From steak and eggs to a full-on Continental brunch, this spot has you covered for the All-American breakfast. 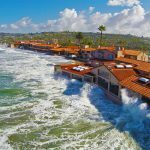 An incredible experience unlike any other in La Jolla, the High Tide Breakfast treats you to incredible views of the surf coming right up to the windows while you dine. Sometimes we crave an upscale dining experience that’s enjoyed course-by-course. Other times, we are simply looking for good food that we can grab quick – perhaps to take on the road, bring to the beach or pack as a picnic. Wraps, bagels, sandwiches, bowls, and salads are all available to-go at this cute spot at the Shores. Perfect for grabbing something before you head down to the beach. Grab a Boxed Lunch and have a picnic at the beach! It has everything you need for a full lunch (sandwiches, chips, and more). Fresh salads and made-to-order sandwiches plus rotating hot items that change daily; this is the ultimate lunch spot in La Jolla!